Cool Bat Facts ~ The Flying Kind! I know ~ if you’re a Red Sox fan you were thinking a different kind of bat, right?! If you’re expecting to read about batting statistics and home run percentages you’re going to be disappointed. But you want to know more about those furry flying mammals, read on! We are nearing the tail end of Celebrate Bat Appreciation Month. I know, huge let down right? I mean, where were the parties? Did I miss cake? How did this get by me? But the following facts from the Animal Planet are here to show you how cool bats really are…. ~ Bats are the only mammal that can fly ~ probably better than bears being the only mammal that can fly! ~ One brown bat can catch about 1200 mosquito-size insects in one hour ~ too bad we couldn’t just have one or two in just before the cookout, right? ~ Bats spend more time grooming themselves that most teenagers. I have 3 boys and no bats, so this one I can’t verify! 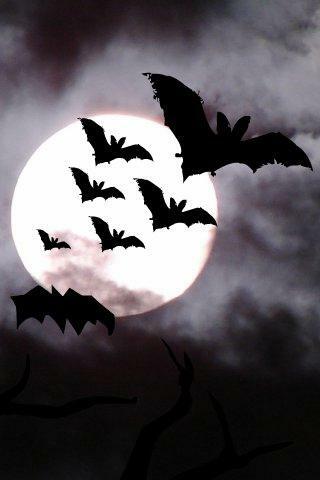 ~ Bats may soon help treat cardiac patients. Okay, so this one really is cool! Scientists are trying to copy enzymes found in vampire (yep, blood sucking vampire) bat saliva to treat heart conditions and stop the effects of strokes in humans. So next time you see a bat, don’t get totally freaked out. Build them a nice house, don’t stay stationary and know that they may just help your heart! If it doesn’t just up and stop beating when the bats start swooping around your head at dusk…. Do you feel the same way about bats as I do? I still prefer the baseball bats made from ash that the Sox use…and use quite well at that! ← Where in the World Wednesday! hey i love this fact!